In July 2010, after years of agitation, the Catalan regional parliament outlawed bullfighting. Once Barcelona had three plaças de toros, but the spectacle has lost popularity rapidly in recent decades. 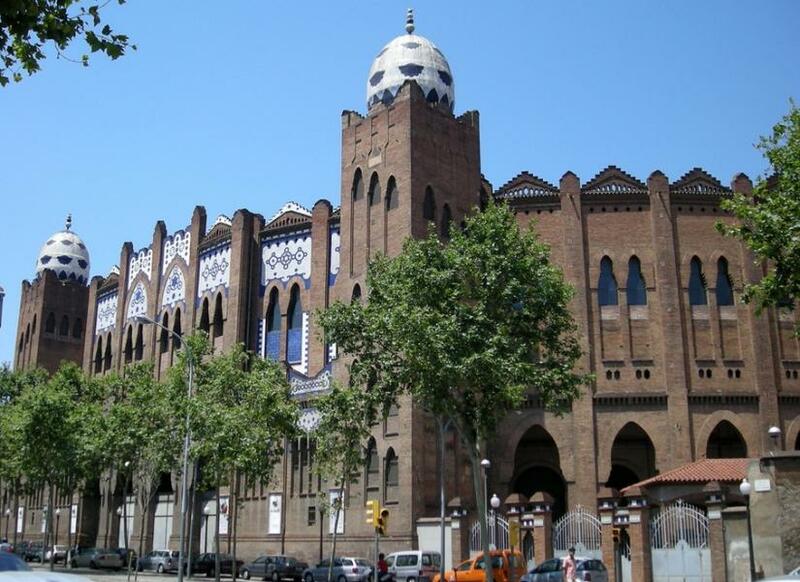 'La Monumental', the last operating bullring in Catalonia and the largest in Spain, sometimes had trouble filling more than a sixth of its 20,000 seats. It's hard to say which played a bigger role in bullfighting's demise: the animal rights activists who have campaigned against it for years, or Catalan nationalists trying to put just a little more cultural distance between their region and the rest of Spain. In any case, a truly monumental landmark of the Eixample is now looking for new ways to earn a living; at the time of writing it hosts the occasion travelling circus and other shows. Barcelona’s last bullring is the only Modernista one in Spain, designed in 1916 by Ignasi Mas Morell and Domènec Sugrañes Gras. Made of brick, covered with blue and white azulejos and trencadis, the arena is laced with Moorish arches and punctuated with towers supporting outlandish white and blue ceramic eggs. Its Museu Taurí remains open, with a collection of famous bulls’ heads and memorabilia of the great bullfighter Manolete, who was gored in Lléida in 1947. Even so the Monumental faces an uncertain future. Mostly the big ring sits empty, though it may be used for the occasional concert or circus until something better comes along (the Beatles played here in 1965). Don't mourn for the company that runs the place though. The Catalan government had to pay them €300 million in compensation.